Congratulations on attending a Stompernet Live 10 workshop! I have no doubt whatever workshop you attended at Live 10 has helped you take the next step toward improving your business. Please provide the same name & email you used to attend your Sunday Workshop. Your information will be cross-referenced with the master Stompernet roster & anyone who didn’t attend a Sunday Workshop is not eligible for a free consultation. This offer has no expiration date, but to get the most out of your session, I encourage you to do so in the next month or two. Please note that there is no cost or obligation to continue with 1-on-1 AdWords consulting after our first session, and no credit card information is being collected at this point. 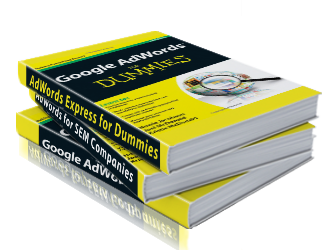 Click here to schedule your free AdWords Consulting Session.